Aspire Dermatology (Riverside) - Book Appointment Online! 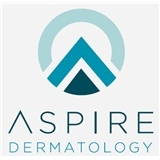 Aspire Dermatology, with five conveniently located offices in Riverside, Newport, Johnston, Tiverton, and Warwick, Rhode Island, is a highly professional provider of a full range of dermatology services from skin cancer screenings and cosmetic procedures to Mohs surgery. Aspire Dermatology was founded by Jason Michaels, M.D. who has almost two decades of experience as a board-certified dermatologist. He, along with his Nurse Practitioners, and staff of Physician Assistants and Medical Aestheticians are are ready to serve all your skin care needs professionally, respectfully and on a timely basis. Aspire Dermatology is happy to accept new patients so please call today for an appointment. Nice experience. All workers are nice behaved and well in treatment for patients.